Don't miss this great deal!! Furnished 2/2 on the top floor (third-with elevator)....and it's an end unit with front and back patios. Light and bright with pool view. 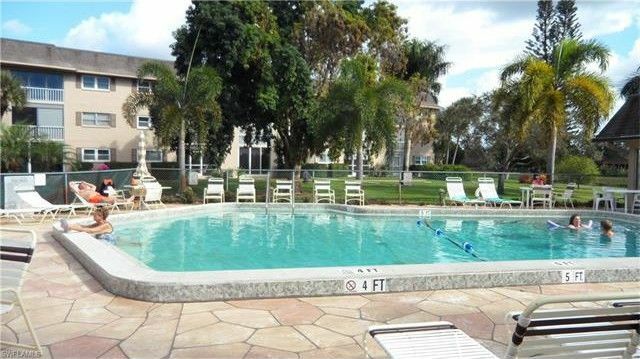 This is a well cared for unit in a friendly, nicely kept, 55+ community". Opportunity is knocking!! Washer and Dryer in the unit. Only minutes to the beaches and great shopping. Country Club Manor is 55+ community. No pets allowed.